NOTE - I received the new Tradere safety-bar base plate from Richard for free. I was one of the testers of this new head design for Tradere. The head is now in production and the geometry is the same as the one I tested, so this review is effectively of the same razor. This note is included in the spirit of full-disclosure: I didn't pay for this base plate. Take that for what you will. I have had a Tradere OC razor for a while. I loved the looks, the sheer quality of the manufacturing and just about everything about the OC razor.................except the shave. See my comments on it in this thread: Tradere OC review. As I said there, I was really impressed with the engineering and the build quality of the razor. It is easily the most beautiful stainless steel razor I've owned, and I've owned pretty much every stainless steel razor there is. When I reviewed the OC razor, Richard (the maker) contacted me and offered some advice on improving my shaves with it. With some technique adjustment, I was able to get consistently good shaves with the OC razor, but I never really liked it. To his credit, Richard listened to the criticism and made modifications to the razor. The result is reviewed here. The safety-bar base plate is very similar in geometry to the OC razor. I compared them side by side, and couldn't distinguish any serious differences --- apart from the obvious one of the comb vs. safety bar. It's built to the same amazingly high standards as the OC head, and is designed to be used with the same head cap and handle. I wasn't expecting much of a difference in my shave with it, because I didn't like the way I had to hold the OC Tradere to shave with it, and I expected to have to use the same technique with this safety-bar head, as the geometries seem to be the same. However, in practice, I was able to use a much more natural (to me) technique and get a great shave. What I look for in a razor, is that it provides me with a close, comfortable shave - it has to be effective (not necessarily super-aggressive), intuitive and a pleasure to pick up and use. I can pretty much shave well with any DE razor - what I look for is a razor that I want to use. Even given all the beauty of the OC Tradere, I didn't want to use it. The safety-bar Tradere is different. From the first time I used it, I was struck by how different this razor was. It was much more intuitive for me to use, the shave was quietly effective, and it was smooth and comfortable from the first moment I picked it up. I really liked it. I tried it for over a week - using it for full shaves, using it as a touch-up razor (which is my usual use for a DE razor), using it with different blades, etc. Each time the result was the same smooth, effective shave. I went back to the OC Tradere and tried that again, and still didn't care for it at all. Something about the safety bar head makes it much more comfortable to use, and a lot more pleasurable. I think the safety bar just nudges the aggression of this razor to a sweet spot, and Richard has really hit it right this time. Kudos to him. As you can see, it is still amazingly beautiful......now that is paired with the fact that it is amazingly usable - what's not to like? People who like super-aggressive razors may find this head too mild for their liking. The OC razor will work better for them. 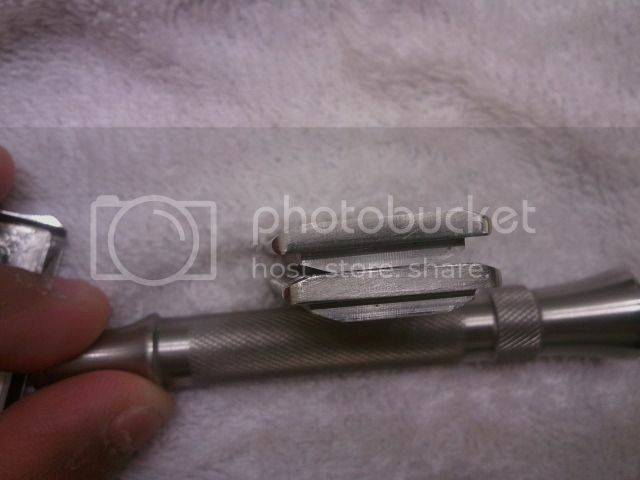 This is still a pretty aggressive razor, without being unusable ---- as I said, this is effective. I've had a Pils (which the Tradere resembles), and this is more intuitive and more effective than the Pils. Excellent review, Yohann. Looking forward to picking one up. Thanks. When you say, some may find this too mild. What would you compare it to? Is it as mild as the Feather? Or is it just slightly less aggressive than the OC version? It's slightly less aggressive (and a lot more forgiving) than the OC version. 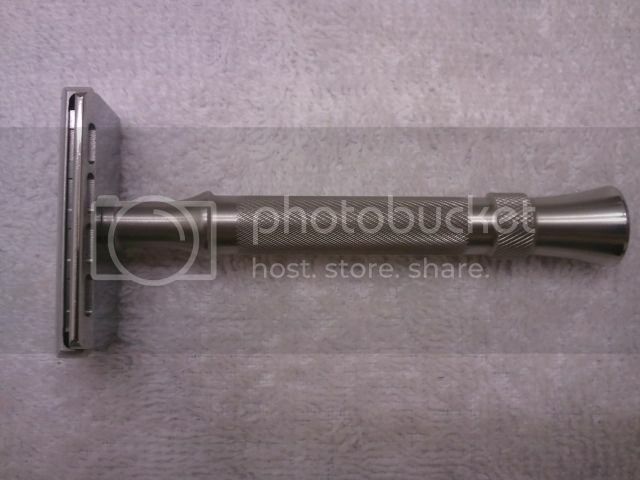 It is not a mild razor (I'll clarify that in the OP). It is much more aggressive than the Feather AS, and not as aggressive as the new R41. As I said, it's one of the more effective razors I've used. I use the term effectiveness to balance 'aggression' and 'comfort' - this has both those characteristics. Nice review Yohann, I see you have the shorter handle already. It doesn't appear to be that much shorter but makes the razor look slightly more compact. I don't have the shorter handle. That's a pic from Richard's thread. I'll acknowledge that. This one sounds like something I'm going to have to try. The OC is my favorite razor to date, so I'll give it a shot! That sounds great. It also looks better with the shorter handle I think. Okay I saw the same picture in the vendor section. I like the shorter handle. I am in the same camp as you, as I did not like the OC. I really wanted too, as it is one of the best looking razors I have ever seen, but for my face and skin it just did not work. 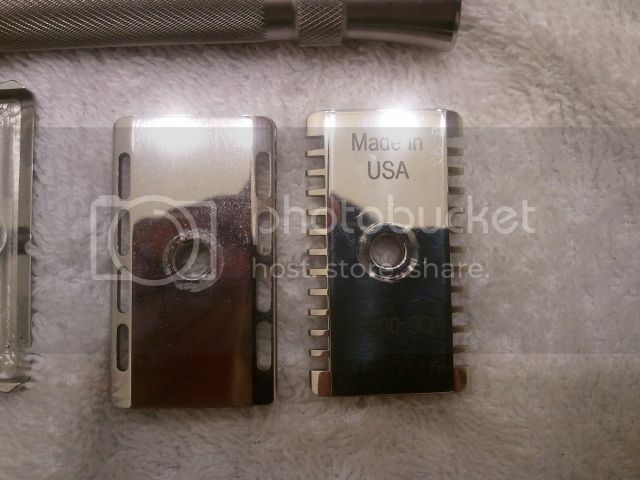 So far for me any modern razor that differentiates too far off course from a Gillette inspired head just does not work. Thanks for the excelelnt review, Yohann. I thank you for sharing your experience with the Forum! Yohann, i had the same issue with the OC Tradere as it was just too uncomfortable for me. How do you find the CC Tradere compared to the Pils? It's been several months since I last used the Pils. I remember it as being a decent razor - efficient, but not terribly so. I classify it as just 'good'....not great. The safety-bar Tradere is different. In the first place, it is usable in a range of shaving angles - like Dave, I tried various angles, techniques, etc. and it worked well regardless of what I did. Second, I feel that it is more efficient than the Pils - takes off more hair per pass. If the razor was better balanced, I'd classify it as superb....in the current configuration, it is still pretty great. Basicallly, I had two Pils razors. Loved the design, but sold them because the shave wasn't up to par. I won't be selling the Tradere until I get one with a shorter handle. Thank you for the review and the comments! I look forward to trying one of these. I was on the fence with the OC and I'm glad that I waited for the Safety Bar. It looks like it will be a full release for the razor in September. Is it a definite that it will be released with the shorter handle as a package if one doesn't order just the head and/or will we have a choice of handles for the full head/handle package order? (07-24-2012, 06:27 AM)yohannrjm Wrote: It is much more aggressive than the Feather AS, and not as aggressive as the new R41. Which is true, but still 8hs or so away by car. 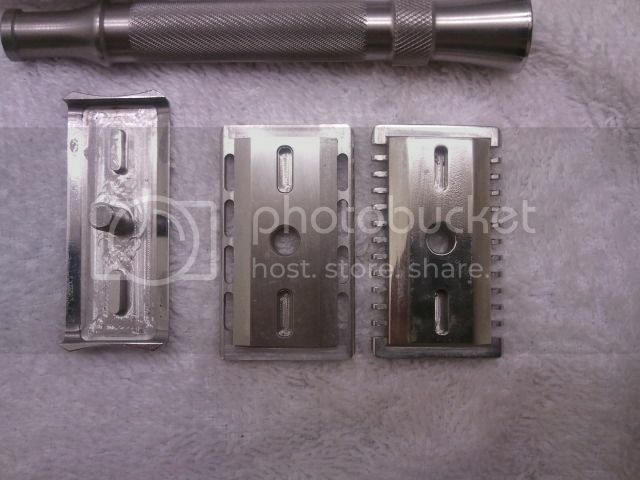 There is a lot in between the razors in your example and the cities, so IMO this isn't a good example. Is it more like an DE/R 89? Or a Progress/Futur on say 2-3? Ha! True.....it was meant to be funny (though true). Anyway, how aggressive is this razor? More aggressive than the DE89, certainly. I haven't used a Futur recently, so I can't say much about that. It's more aggressive than a Merkur HD, but not massively so. Also, it is smoother. Really, this comes down to what I keep saying about this razor --- it is an effective shaver. Does it matter how aggressive it is? I use straights all the time....I don't consider them to be aggressive....just effective. The new R41 is aggressive, and I hated shaving with it. When I think of the R41, I think of harshness, mostly due to my thick beard hairs and the large blade exposure (giving rise to blade flex when shaving). 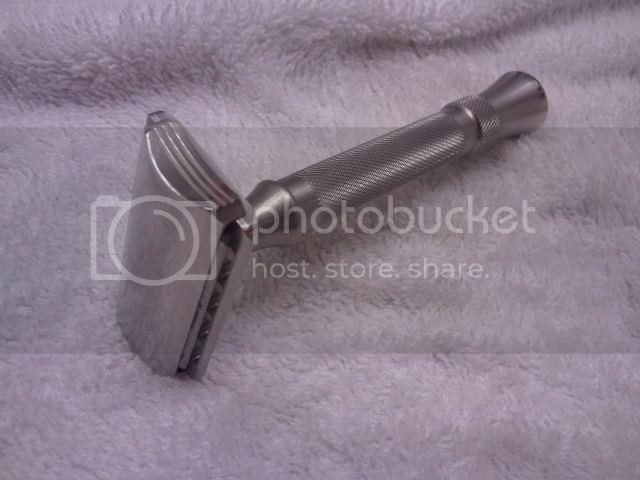 I could get a good shave from the R41, but I never liked using it. The safety-bar Tradere reminds me of my shaves with straight razors - effective, close, and a pleasure every time.